James Cavanaugh, President and CEO of the Battery Park City Authority has resigned from the public entity, according to an emailed statement. 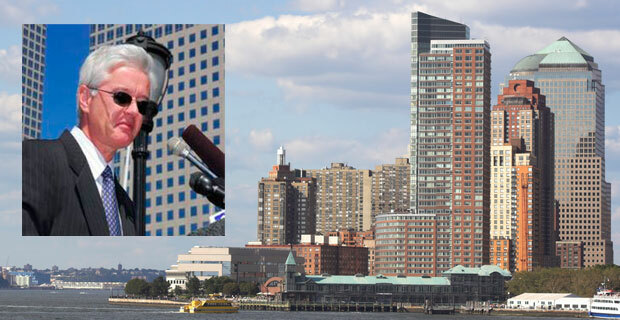 Citing the changes in the Battery Park City Authorities focus from buildings to people in the community, Cavanaugh also alluded to an attractive State offered early retirement option as one of his reasons for resignation. He will officially leave his post in October and his successor has yet to be named. Sources speculate that the current Chief Operating Officer Gayle M. Horwitz would be a prime candidate for the President role. William Thompson, current Battery Park City Authority chairman who himself was recently appointed by Governor Paterson, will be responsible for nominating the next President of the authority. Cavanaugh joined the Battery Park City Authority in 2004 as its Chief Operating Officer and was named President in 2005. Prior to overseeing the public corporation he had served as a Supervisor for the Town of Eastchester in Westchester County, New York.